Time To Play The (Firefly) Lottery! One of the most spectacular annual events in the Smokies is coming up soon, and if you want to participate, you&apos;ll have to play the lottery. As of last Friday, Smoky Mountain Ziplines is officially open for its 2019 season! Along with the first appearance of the robin and the blooming of flowers, it&apos;s one of our sure signs that spring is just around the corner in the Smokies. Fortunately, this past off-season didn&apos;t drag out too long, and now we&apos;re excited to be opening our doors and welcoming visitors to our Smoky Mountain zip line and canopy tour. Will The Government Shutdown Affect Your Smokies Trip? A few months ago, we told you about a new section of Foothills Parkway that was expected to open in the fall. 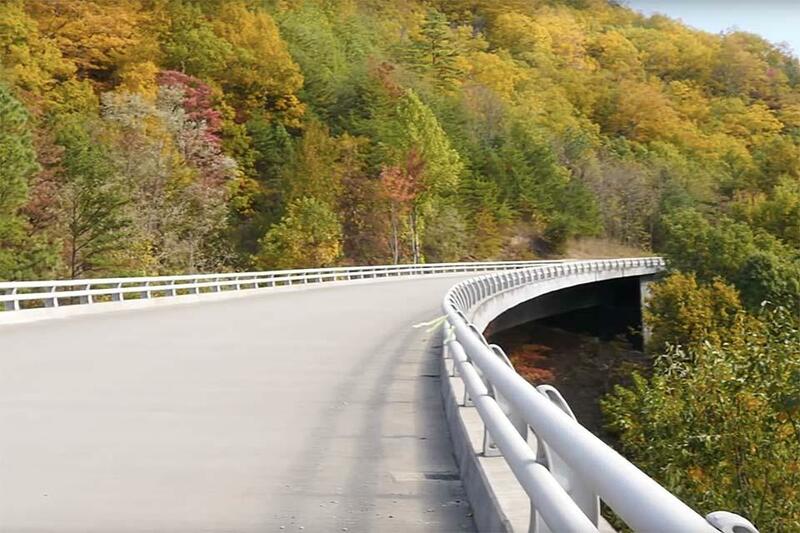 That future arrived last week, and with the opening of the so-called “Missing Link,” motorists, bikers and cyclists can now enjoy an uninterrupted 33-mile stretch of road that runs from U.S. Hwy. 129 near Chilhowee Lake to Wears Valley, TN. Even though we finally started getting fall weather just a few weeks ago, believe it or not, it&apos;s already time for winter in the Great Smoky Mountains. It&apos;s true. While the season doesn&apos;t officially hit for another six weeks or so, the cities of the Smokies aren&apos;t waiting around to begin celebrating that magical time of year. Several will be kicking off their own respective Winterfest activities next week, and that&apos;s just the beginning of what will wind up being four months&apos; worth of decorations and special events. The Missing Link Is Disappearing! If you continued reading past the headline, expecting a story about the disappearance of some sort of half-man, half-ape creature, we hate to disappoint you. However, what we&apos;re talking about this week is still an interesting story, and one that could have more of a direct impact on your own life. Yep, the kiddos are all back in school (Hallelujah! ), so for them, summer is over, for all intents and purposes. But have you checked the calendar or a thermometer lately? Both would indicate that summer is officially still in full swing. And that means there&apos;s still plenty of warm-weather fun in store for those of us who aren&apos;t tied down too tightly by school schedules. 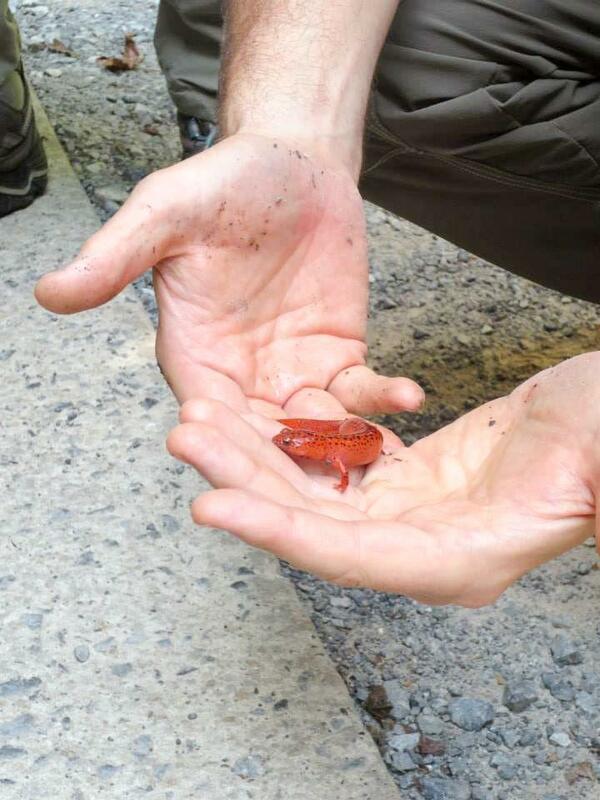 There&apos;s good news this week from Great Smoky Mountains National Park. 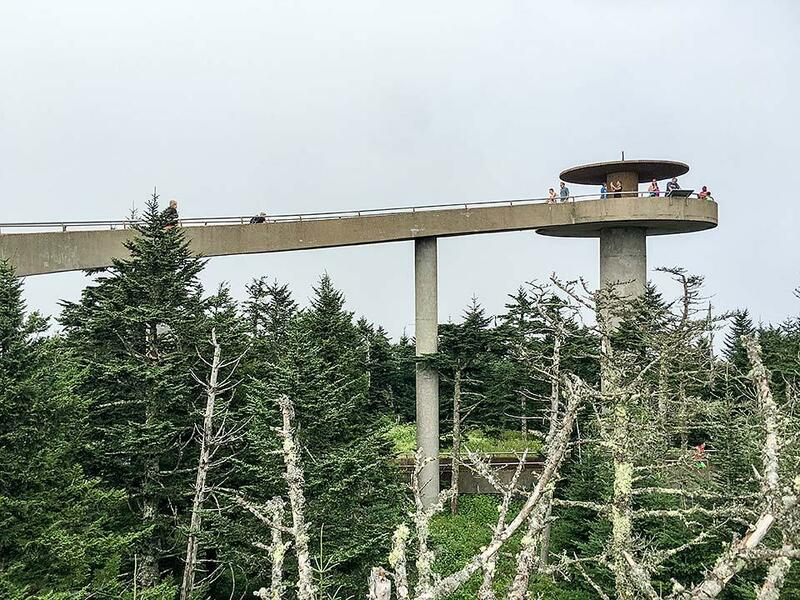 The Clingmans Dome Observation Tower is open once again to the public after being closed for several weeks. The tower had been closed so work crews could add surfacing to the ramp leading up to the tower, part of a major renovation project that began in 2017. Last week, we offered four suggestions for things that you might avoid doing when you&apos;re vacationing in the Smokies. These included staying glued to your phone throughout your entire trip; feeding or getting too close to bears; overlooking discounts on shows, attractions, shops and restaurants; and forgetting to factor in the weather when making your daily plans. Again, these are all things NOT to do on vacation. 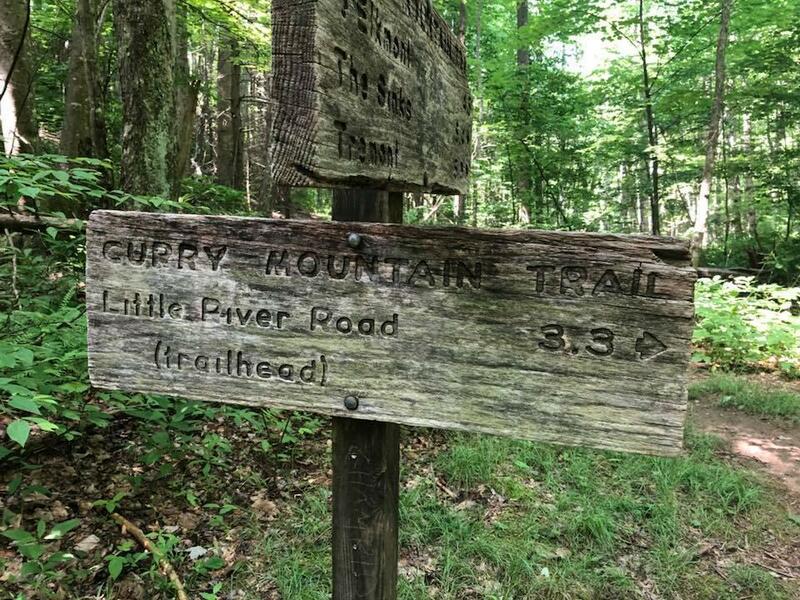 With some 10 million people crossing its borders each year, Great Smoky Mountains National Park is the most visited national park in the country. And for good reason. It&apos;s one of the largest national parks by area, and within its 800 square miles (spanning two states) are unspoiled forests, majestic mountains, pristine waterways and thousands of species of living creatures, from insects to elk. Someone must have broken the sun. It&apos;s stuck on the HOT setting, and we can&apos;t seem to get any relief from the heat and humidity this week. And local forecasts don&apos;t call for much rain to help us out in the near future. In case you weren&apos;t already aware, Smoky Mountain Ziplines is open for the season. And it&apos;s looking like this weekend might be a great opportunity to help us kick off 2018 by experiencing some of the area&apos;s best ziplines, Smoky Mountains beauty and some awesome spring weather, all at the same time. Smoky Mountain Ziplines is officially open for the 2018 season! 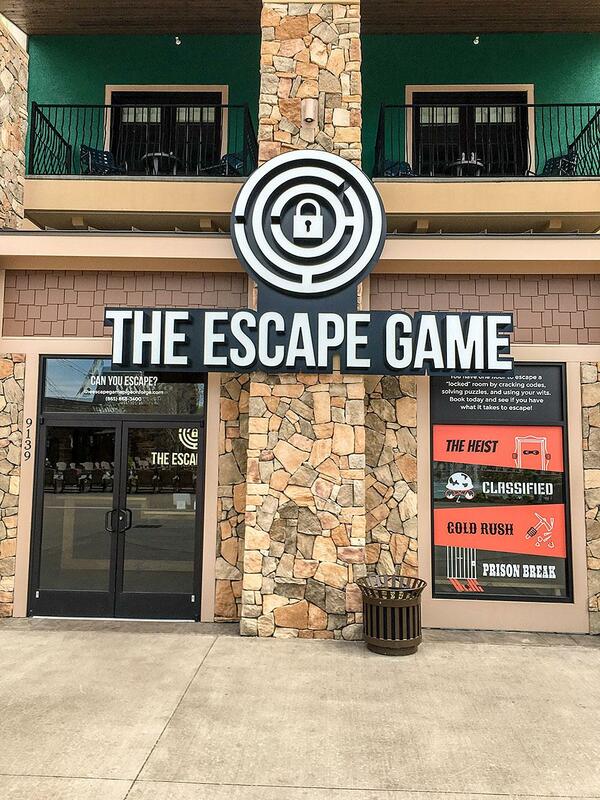 And we&apos;re excited to be back, providing our guests with an unforgettable experience that includes ziplines, Smoky Mountains and more fun than you&apos;ve probably had in a long time. If you&apos;ve ziplined with us in previous years, then you have a good idea of what we have to offer. But if you&apos;ve never ziplined with us before, or if you&apos;ve never been on a zipline at all, then read on for an overview of everything we&apos;ll have to offer this year. 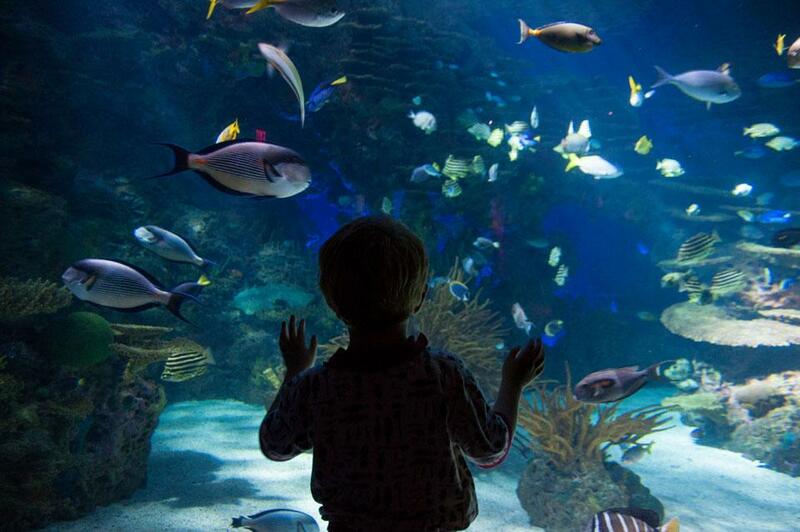 Traveling with kids can be a lot of fun, but it can also be a challenge, especially if the tykes are around age 10 or younger. They&apos;re still at an age where they might need a little assistance from mom and dad when it comes to staying mentally occupied, not to mention the fact that the littlest of the little actually might need physical assistance in the form of a stroller or perhaps being carried from time to time as the day wears on. 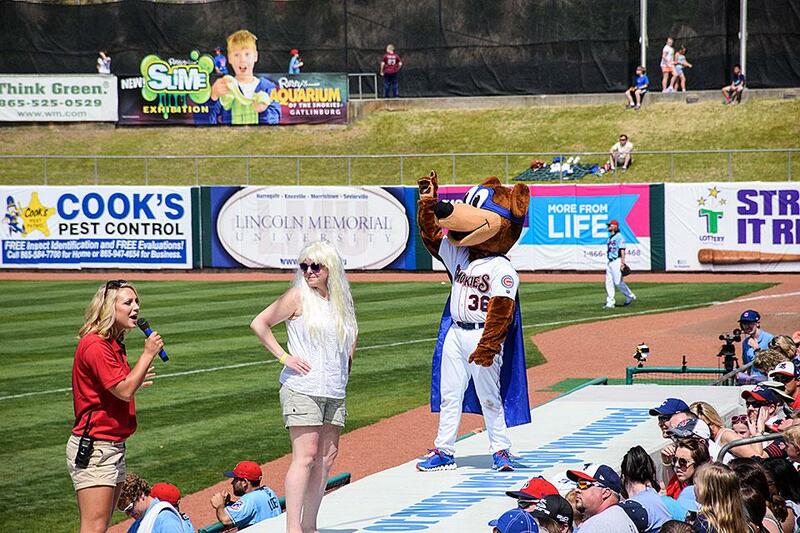 We may still be in February, but you can already sense the buzz around town as spring bears down on us. It seems like everyone around here is more than ready for winter to say goodbye and for spring to return with its warmer days and its budding trees and flowers. At Smoky Mountain Ziplines, we&apos;re ready to get cranked up for this season too, but until we are able to officially welcome our visitors back to zipline Smoky Mountains in 2018, we can tell you about a bunch of new and newish things to look forward to in Gatlinburg, Pigeon Forge and Sevierville. Baby, it&apos;s cold outside, if you haven&apos;t noticed. This time of year, there&apos;s always a higher risk of sub-freezing temperatures, but for the last week or so, we&apos;ve really been dealing with a cold snap in the Smokies, to say the least. Chances are, you have too, even if you are from outside our state. 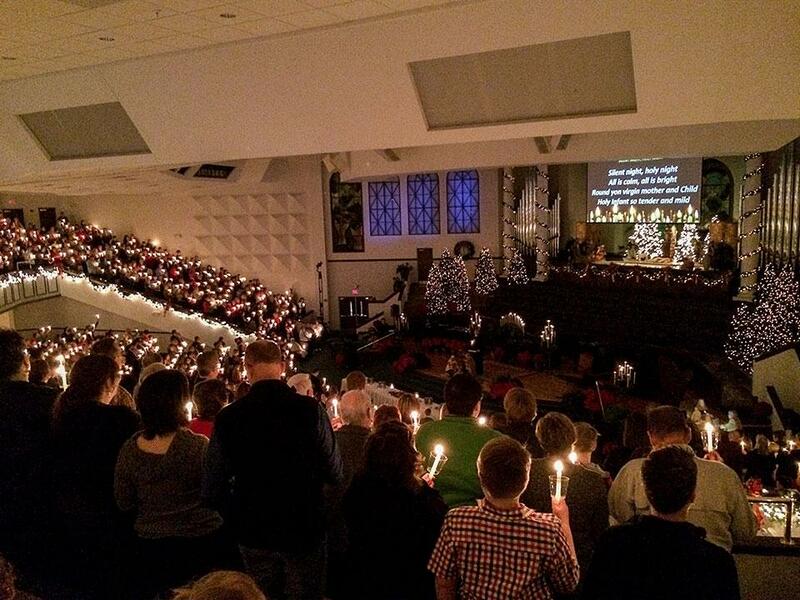 Okay, all you Christmas season fans… Thanksgiving is officially over, which means that if you haven&apos;t done so already, you can finally put those trees up, string lights all over the house and blast your favorite carols at full volume, all in good conscience. No one can give you a hard time about it now. Thanksgiving is next week. We all know how that works, right? We get together with family, we stuff ourselves with turkey and all the trimmings, we manage to find just enough room for a piece (or two) of pie, and then we kick back in a drowsy stupor to watch football for the rest of the day. Of course, you then proceed to eat leftovers for at least the next three meals. 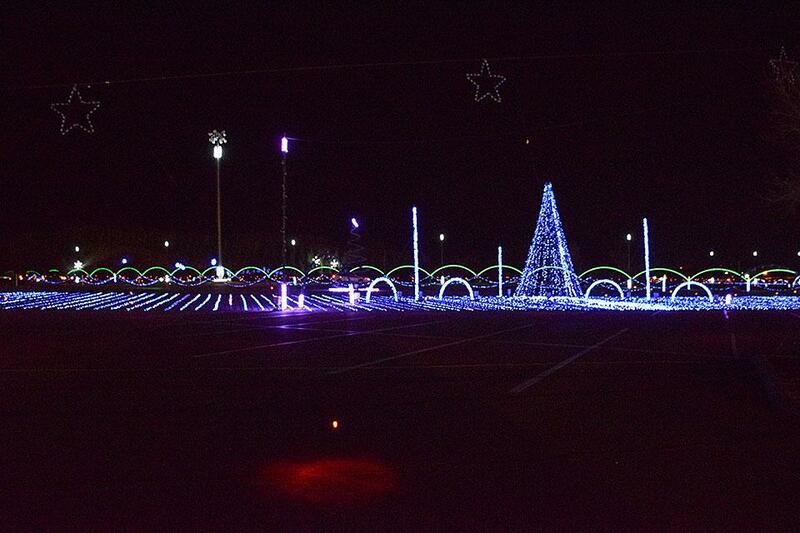 Winterfest Is Coming To Light Up The Smokies! We&apos;re only a month and a half into autumn, but here in the Great Smoky Mountains, everyone&apos;s thoughts are already turning to winter. That&apos;s because we&apos;re about to kick off a four-month-long event that celebrates that season and all the holidays that fall within it. 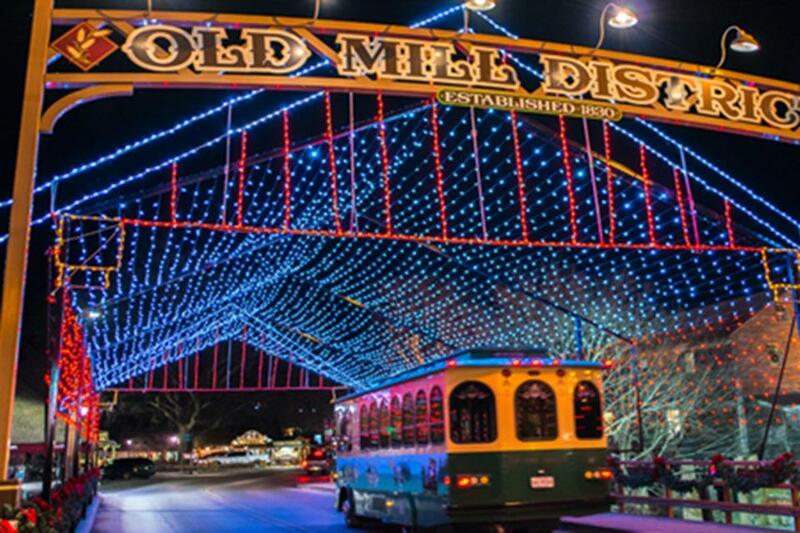 Once again, Winterfest is coming to town, and the communities of Gatlinburg, Pigeon Forge and Sevierville are gearing up for one of the most popular and festive stretches of seasonal celebration in the region. Don&apos;t get us wrong; we definitely think Smoky Mountain Ziplines is well worth the trip, whether it&apos;s your first time ziplining or your 100th. 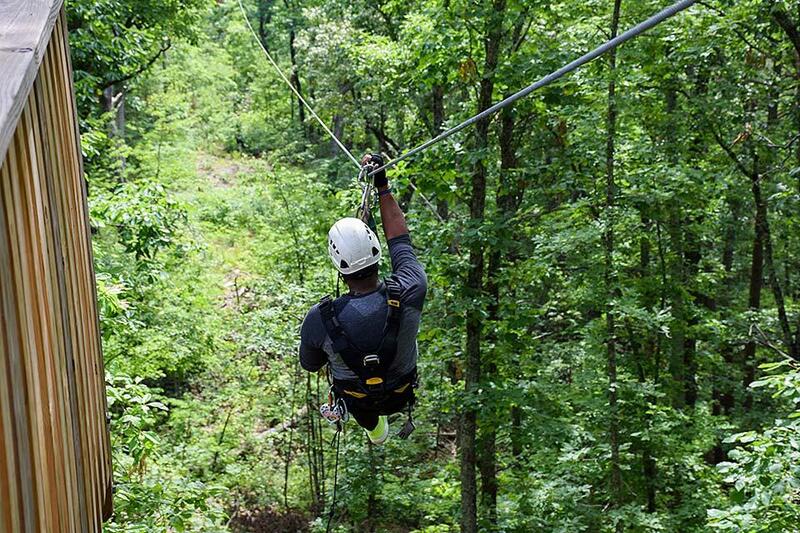 With the most exciting ways to zip line Gatlinburg, Pigeon Forge and Sevierville have to offer, we can help turn any morning or afternoon into an adventure as you spend hours in our mountainside zipline course. You&apos;ll fly, you&apos;ll see stunning mountain views, and you might make a few new friends along the way. 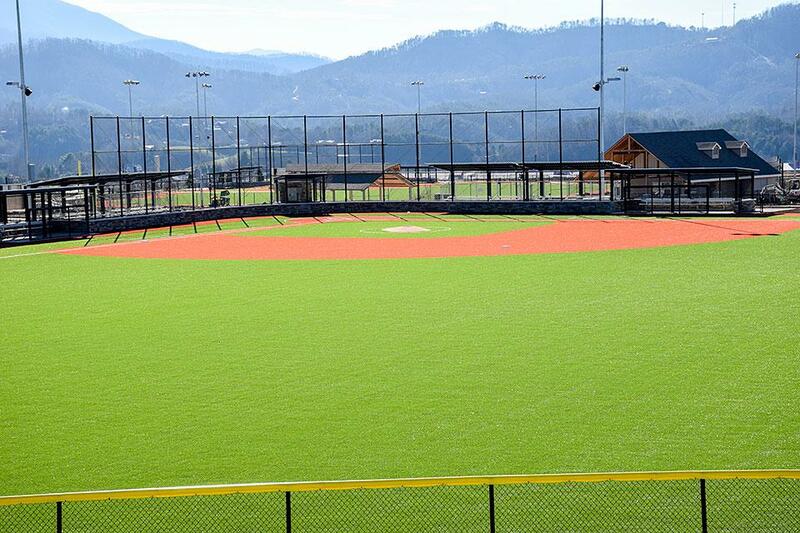 Thinking about visiting the Smokies this week? You&apos;ve picked a great time to travel. The weather here at Smoky Mountain Ziplines has been almost perfect – warm and sunny with some refreshing spring breezes. You might say the weather is ideal for outdoor fun like the kind you&apos;ll find at our Pigeon Forge/Gatlinburg zipline attraction. 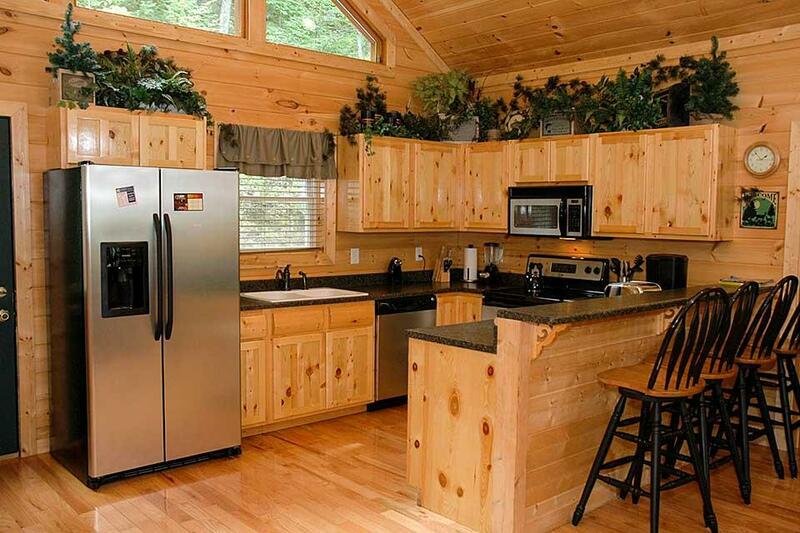 Looking For Low-Cost Accommodations In The Smokies? Consider Camping! It&apos;s official… Great Smoky Mountains National Park is the most visited national park in the country, welcoming some 10 million guests each year. Most of those 10 million visitors wind up staying in a hotel, motel, condo or cabin, whether it&apos;s just for a night or two or an entire week. 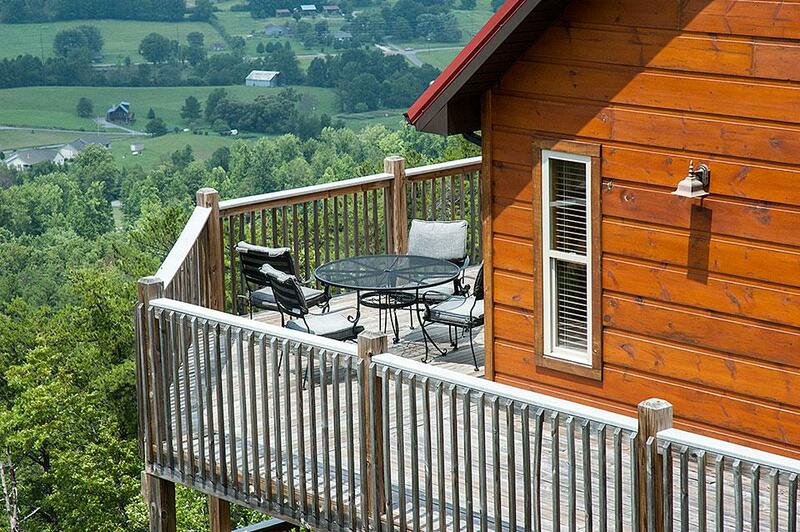 Let&apos;s say you and the fam are planning an awesome vacation to the Smokies for 2017. Whether it takes place in spring, summer, fall or winter, one of the first decisions you&apos;re going to have to make (other than locking in the dates) is where you&apos;re going to stay. That&apos;s the foundation on which your whole trip will be built, so it makes sense to give it some thought before pulling the trigger on those reservations. When you were a kid, you probably heard your parents and teachers warn you not to get into any horseplay. Now that you&apos;re all grown up, though, it&apos;s OK to get into horseplay. 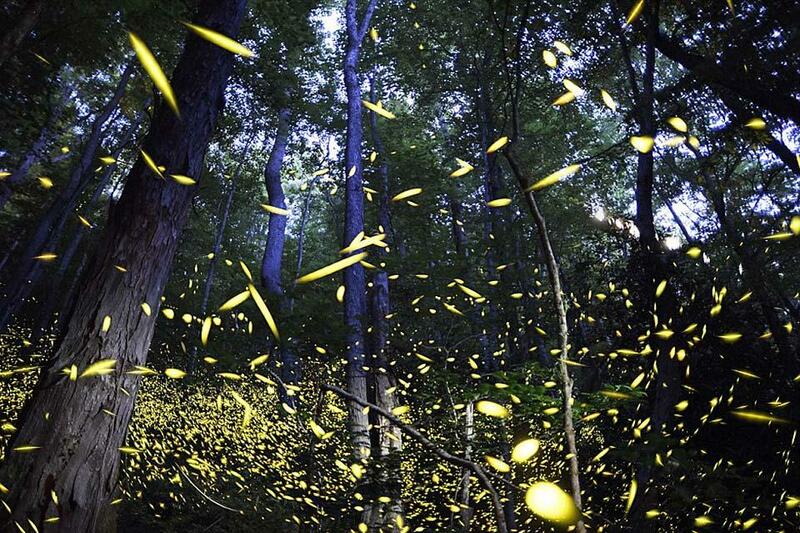 In fact, it&apos;s something that a lot of people enjoy doing when they visit the Great Smoky Mountains. October is such a busy month in the Smokies. Folks are coming into town to see the fall colors and visit the craft shows and do some Christmas shopping at the outlet malls. But if you&apos;re going to be in town for a few days or even a full week, you might need to come up with a few additional ways to fill out your travel schedule. This week, we&apos;ll introduce you to three attractions in each of our three main cities – Gatlinburg, Pigeon Forge and Sevierville – and tell you why you should consider adding it to your itinerary. Have you had a chance to check out our new zipline course yet this year? If not, what are you waiting for? Now that we&apos;re in October, you can enjoy our redesigned course during one of the most pleasant times of year, in terms of both weather and beautiful mountain scenery. We&apos;re having a great summer here at Smoky Mountain Ziplines in Pigeon Forge. Although many area schools have started fall classes already, there are still a lot of families around who are milking every last bit of summer before their kids head back to the classroom. And of course, we&apos;re still going strong and will be for months to come, even after the fall term is well under way. If you think you&apos;ve been reading and hearing a lot about ziplines over the past couple of years, you&apos;re not imagining things. New zipline attractions continue to pop up all over the world, because it&apos;s an activity that offers just about anyone the chance to experience the excitement of speeding through the air while suspended from a steel cable. 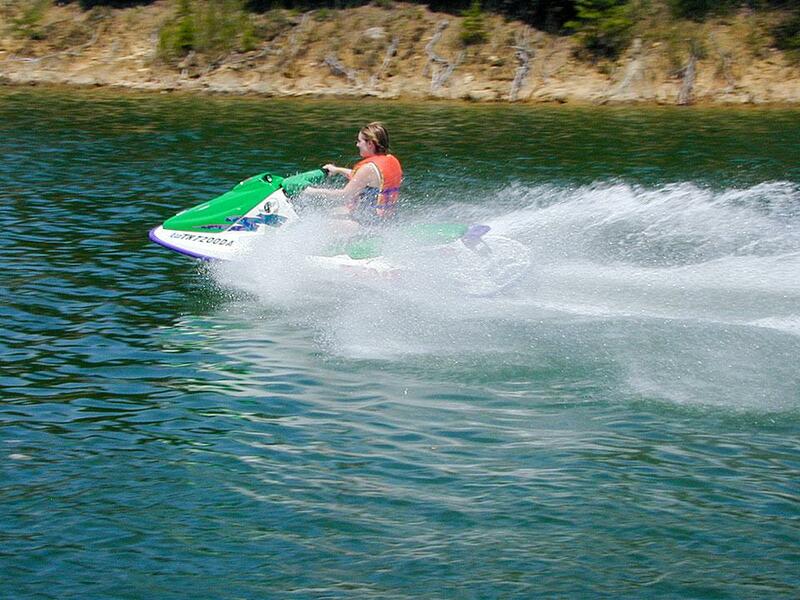 It&apos;s fast, it&apos;s fun, and it&apos;s exhilarating. It&apos;s also an efficient way of bringing the adrenaline-charged thrill of extreme sports to the masses. If you haven&apos;t had a chance to try our newly redesigned zipline course yet, we recommend that you work that into your itinerary for your next vacation in the Smokies. 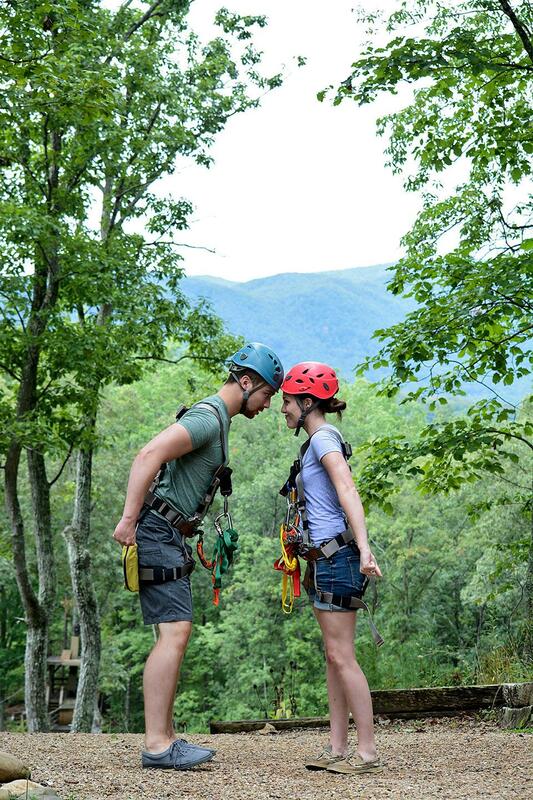 At Smoky Mountain Ziplines, we have everything you could ask for in an outdoor attraction – ziplines, Smoky Mountains scenery, fresh air and a great opportunity to bond with family and/or friends. 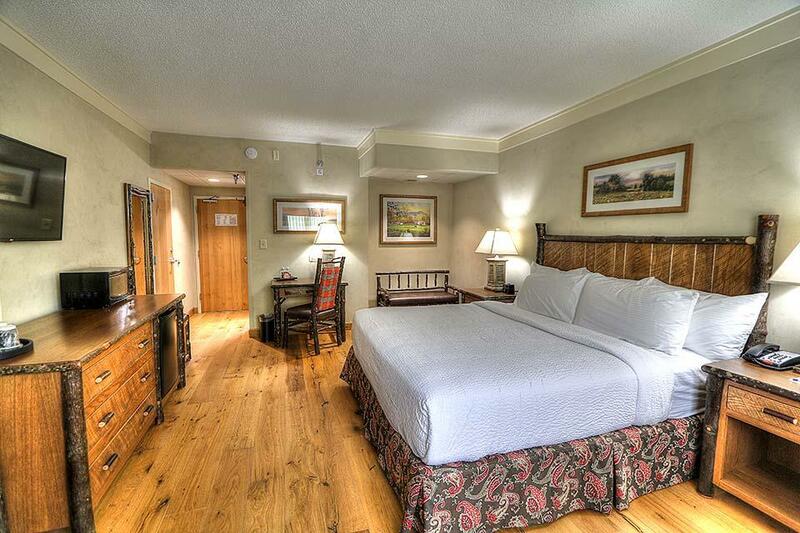 We hope you&apos;re planning on doing some traveling in the Great Smoky Mountains of Tennessee this summer. 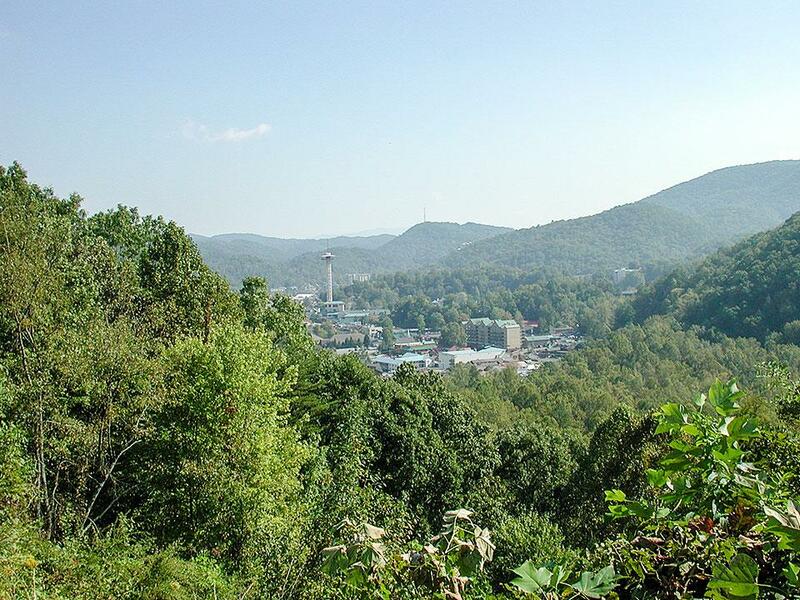 Between the gorgeous mountains, the national park and all the attractions, shops, restaurants and special events you&apos;ll find in Gatlinburg, Pigeon Forge and Sevierville, there&apos;s enough in this area to fill weeks and weeks of vacation time. Fourth of July weekend is coming up in just a few days, which means Americans from sea to shining sea are already planning ways to celebrate our nation&apos;s independence. 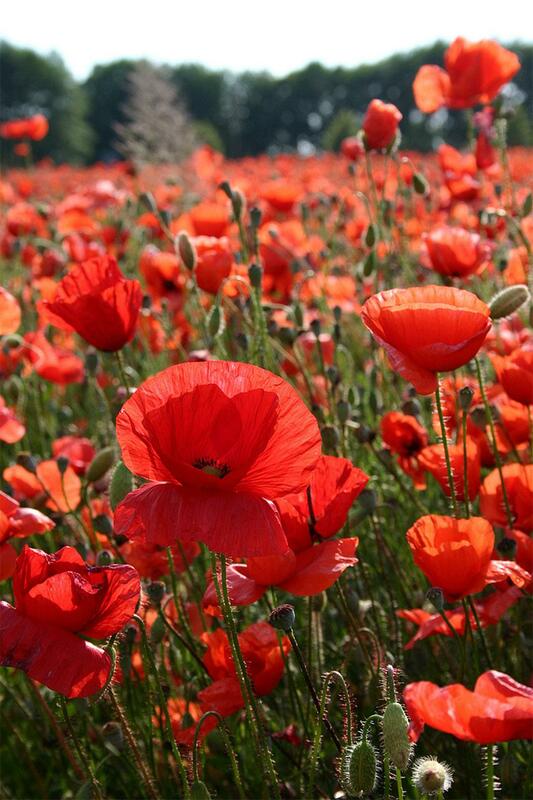 If you&apos;re going to be visiting the Great Smoky Mountains of Tennessee this holiday weekend, there are many ways you can get in on the act and give three cheers for the red, white and blue. Whether you&apos;re planning your very first trip to the Great Smoky Mountains of Tennessee or you&apos;ve been making annual pilgrimages here since you were a wee child, there are simply some things that every visitor to the Smokies must experience at least once. We realize that not everyone has the same tastes in travel activities, but there are some to-do items on our list that we feel are musts. 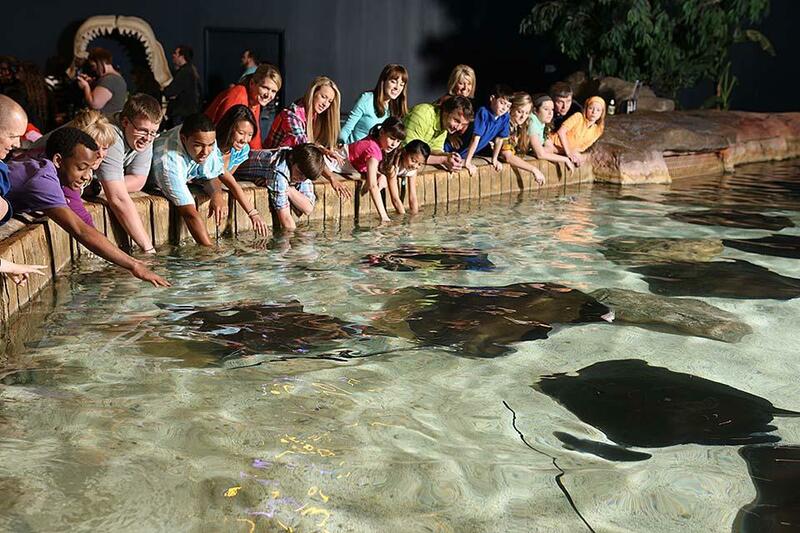 Next time you travel to the Great Smoky Mountains, consider doing a little more than just sightseeing. Maybe on your next visit, you can try some sight-DOING. We&apos;ve got all kinds of ways around here to stretch the boundaries of excitement, get outside the usual vacation rut and push the envelope of fun. Remember spring? Wasn&apos;t that about the best two weeks of weather we&apos;ve had in a long time? Yep, even though we&apos;ve barely scratched the surface of June, those hot, muggy days of summer are already creeping into the Smokies. But that&apos;s OK; this week, we&apos;ve got a bunch of tips for places to go and things to do that will help you and yours stay nice and cool, even on the hottest of days. We finally made it to late February, which means it&apos;s practically March, which means that springtime in the Great Smoky Mountains is right around the corner. According to the calendar, there are still a few more weeks to go, but if you pay close enough attention, you&apos;ll see plenty of signs indicating that the doldrums of winter are about to be behind us. We&apos;ve spent the past few weeks on our Smoky Mountain Ziplines blog traveling back in time, exploring the histories of the three main communities that make up Sevier County, TN – Sevierville, Pigeon Forge and Gatlinburg. This week, we&apos;re going to wrap up our series of historical retrospectives with the story of Great Smoky Mountains National Park. Merry Christmas From Smoky Mountain Ziplines! This is the week that most of us adults have probably been hoping wouldn&apos;t arrive so quickly for some time now (there&apos;s never enough time to get the shopping done), and it&apos;s the week that most of our kids have probably been impatiently waiting for since last December 26. 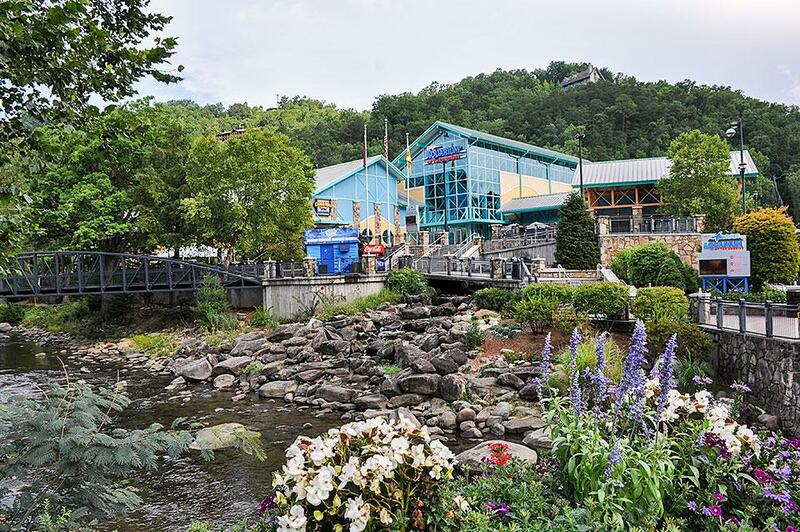 Springtime in the Smokies is still a few months away, but it bears mentioning that that&apos;s the time of year when new attractions, shops and restaurants like to make their debuts. It only makes sense, considering that&apos;s the time of year when the tourist season starts to gain momentum after a bit of a wintertime lull. Last week, we spent a little time telling you about some of the neat fall events and activities taking place during this year&apos;s Smoky Mountain Harvest Festival. 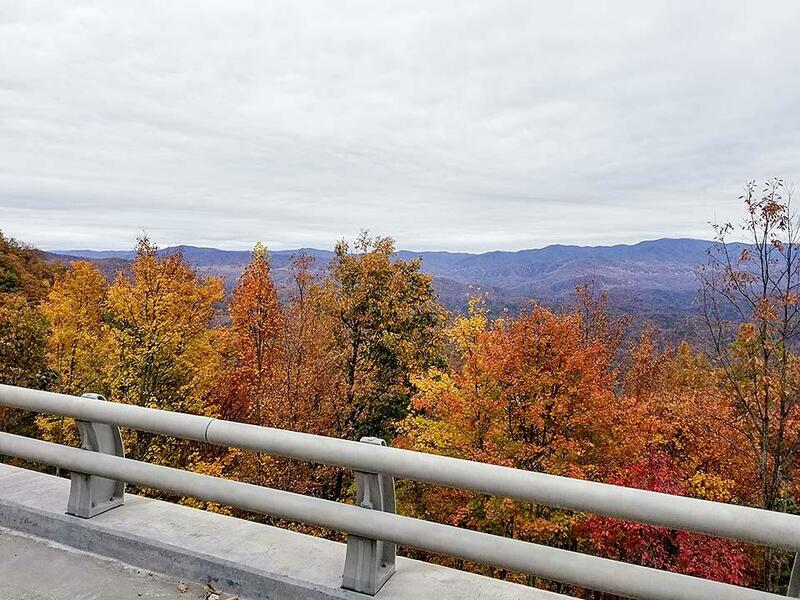 It&apos;s a time when the leaves change colors in the mountains, the temperatures cool off and folks around here mark the occasion with lots of autumn decorations and special events in the communities of Gatlinburg, Pigeon Forge and Sevierville. It&apos;s official. The calendar says it&apos;s autumn, and nature is starting to agree. The days are a little milder, and the trees are starting to show the earliest hints that their annual color transformation is under way. There&apos;s no doubt that when you travel to the Smokies, you&apos;re going to see a lot of cars. Sometimes, that may mean being surrounded by your fellow travelers on a busy traffic day. 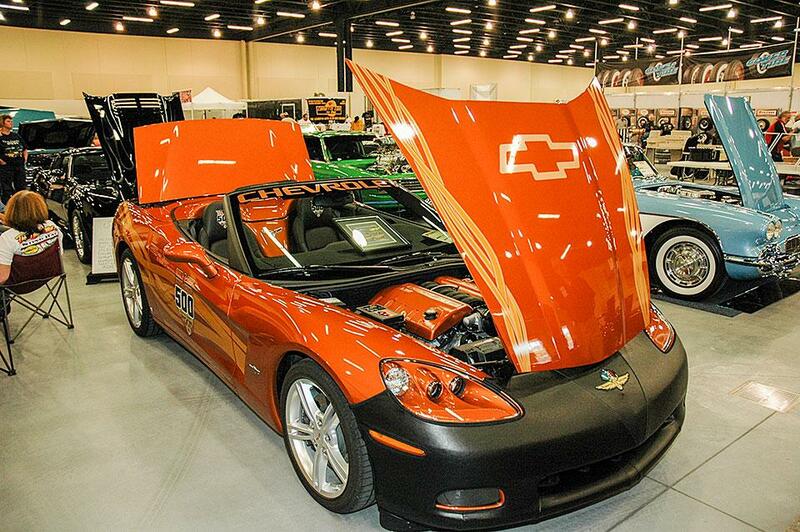 But other times, seeing lots of cars in the Smokies can be a good thing, especially if you&apos;re a fan of custom cars, muscle cars, fast cars and even famous cars. 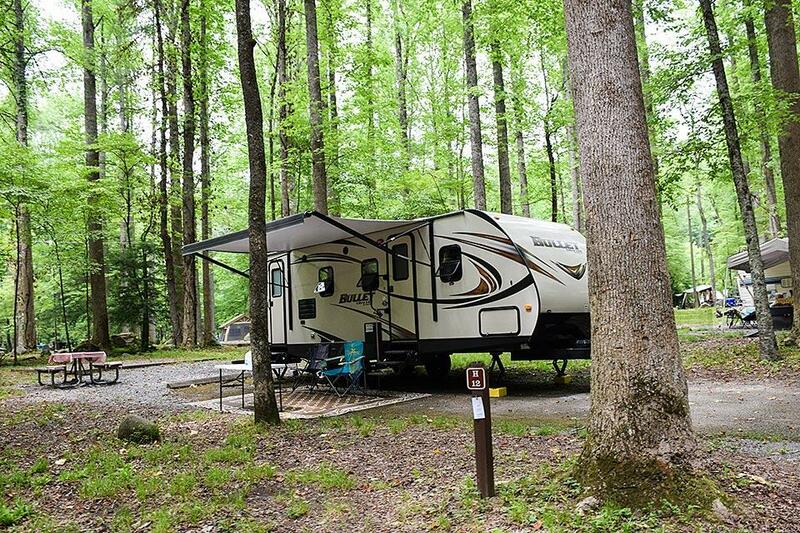 It&apos;s peak season for camping in Great Smoky Mountains National Park. That should come as no surprise, considering that summer&apos;s comfortable nights make the conditions just right for outdoor living. It&apos;s also family vacation time, so this time of year, many of the park&apos;s 9 million annual visitors are choosing to rough it at one of the park&apos;s many camping facilities. 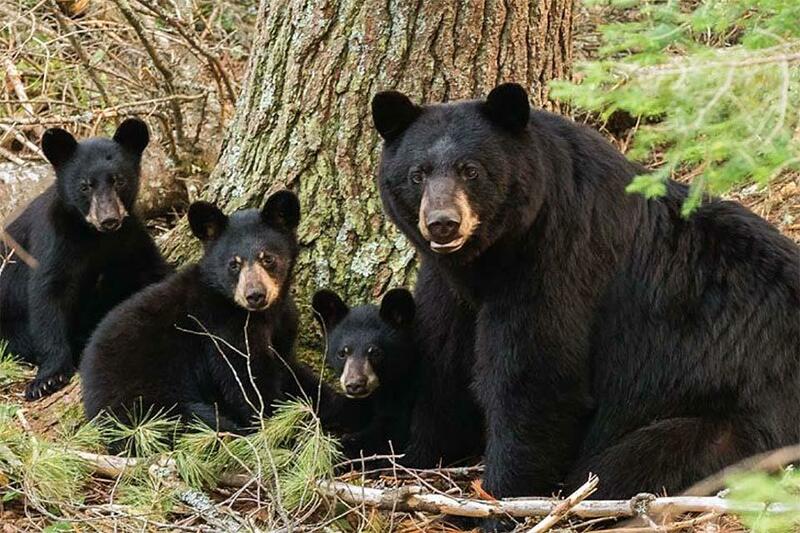 There&apos;s a lot to do in Great Smoky Mountains National Park, from hiking and picnicking to fishing and touring historical sites. However, one of the most popular activities that visitors like to undertake each year is camping. 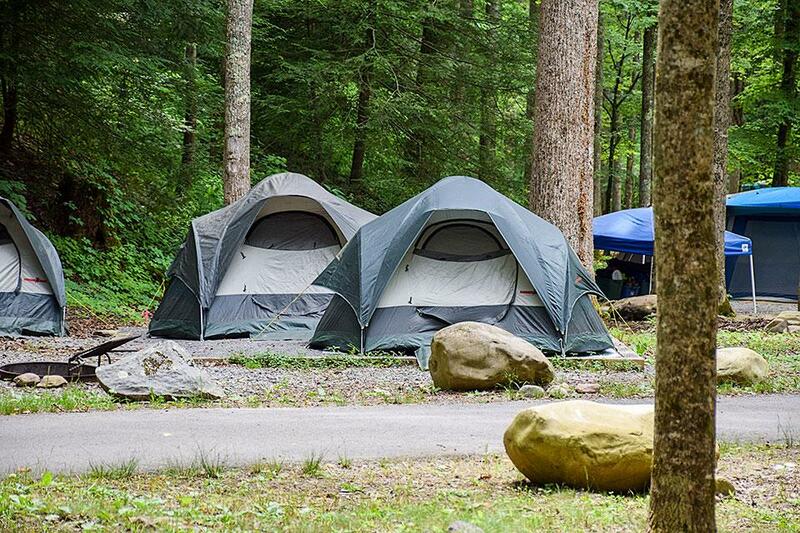 This week, Smoky Mountain Ziplines wants to pass along some basic information about camping in the national park. 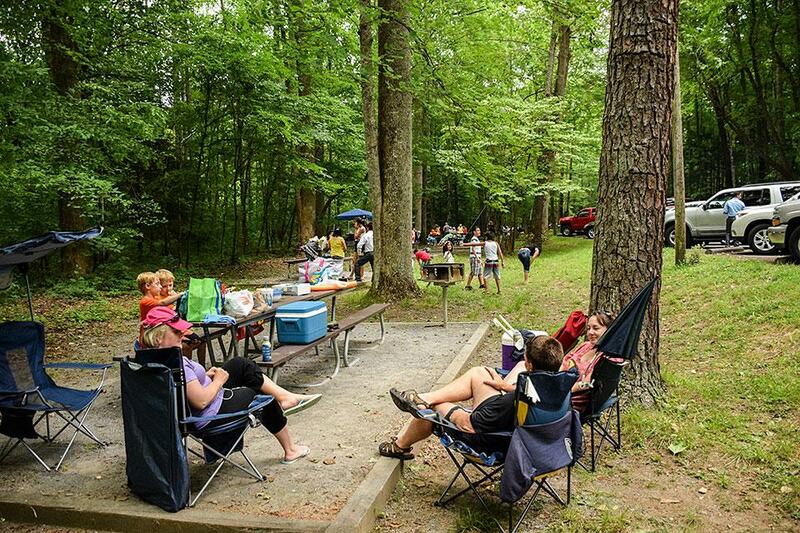 We&apos;ll give you a quick overview of some of the main campgrounds on the Tennessee side of the park as well as some general information about the dos and don&apos;ts of camping. 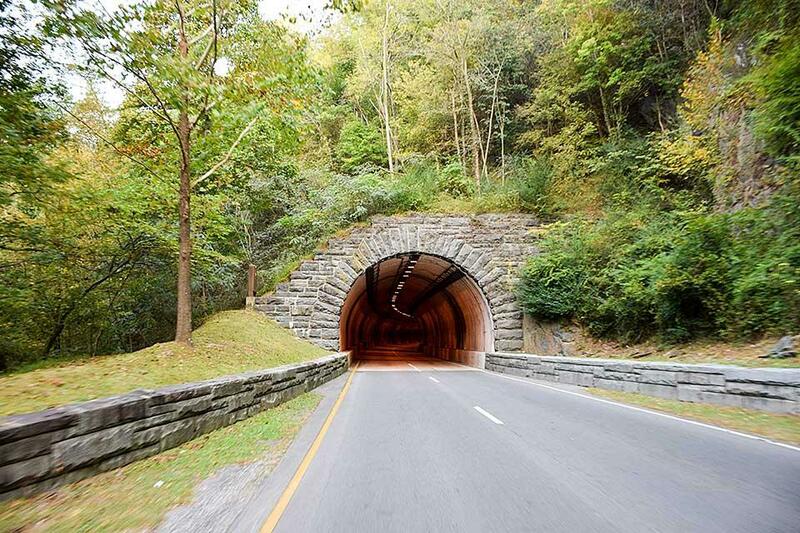 Last week, we started a two-part series focusing on some of the easiest and most convenient ways to get around Great Smoky Mountains National Park and the communities of neighboring Sevier County, Tennessee – Gatlinburg, Pigeon Forge and Sevierville. 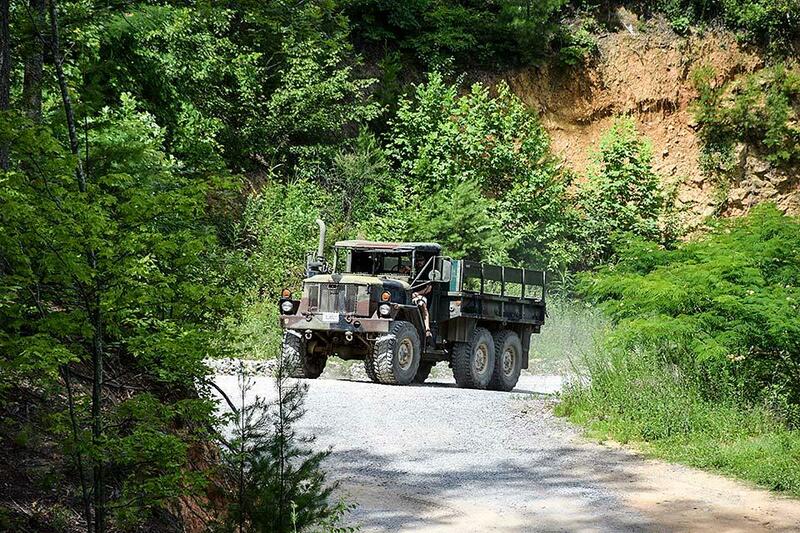 After all, more than 9 million visitors make their way to Great Smoky Mountains National Park each year, which can really tie traffic up some days, especially during the peak season periods of summer and fall. 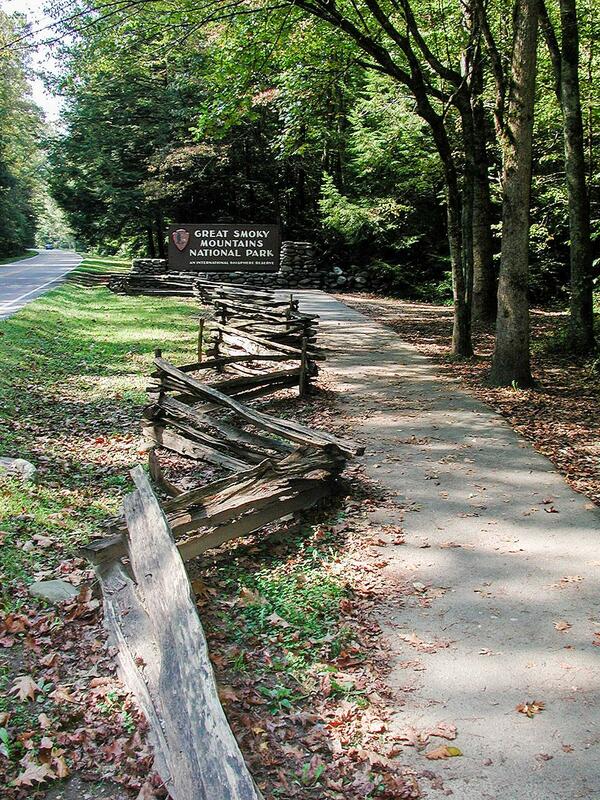 Did you know that more than 9 million visitors make their way to Great Smoky Mountains National Park each year? That&apos;s a statistic that makes our park the most visited in the country. As a result, the nearby communities of Gatlinburg, Pigeon Forge and Sevierville benefit from the vast majority of those folks. After all, 9 million-plus people need rooms to stay in, restaurants to dine at and other ways of amusing themselves when they&apos;re not inside the park. Usually, we&apos;re all about encouraging people to travel to the Great Smoky Mountains, but with all the snow and ice that&apos;s swept through the region this week, this is one of those rare cases when we&apos;ll tell you that you&apos;re best off staying put, wherever you happen to be. As we sit here on the cusp of a new year, have you thought about any changes you might want to make for 2015? Have you made any resolutions about areas of your life that you might want to improve or new things you might like to try? If nothing else this next year, remember that it&apos;s never too late to take chances or to experience things you&apos;ve never done before. 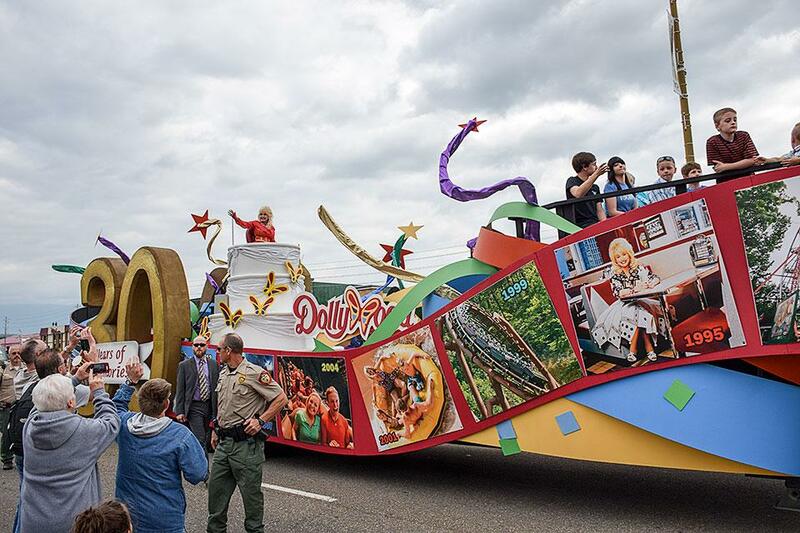 Christmas is just weeks away, but at Dollywood theme park in Pigeon Forge, they&apos;ve already gotten an early jump on the holiday season. 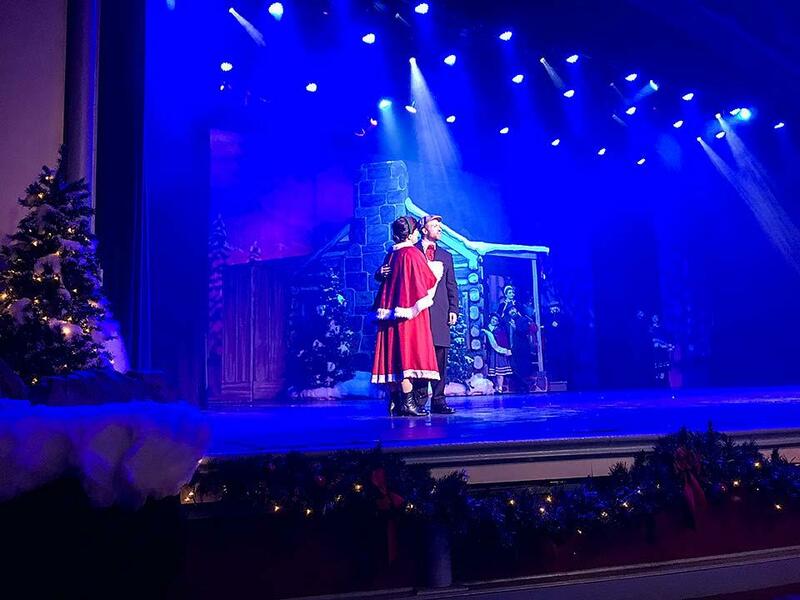 In fact, their annual Smoky Mountain Christmas celebration has been in full swing for weeks now, offering two months&apos; worth of entertainment, holiday lights, seasonal foods and more. 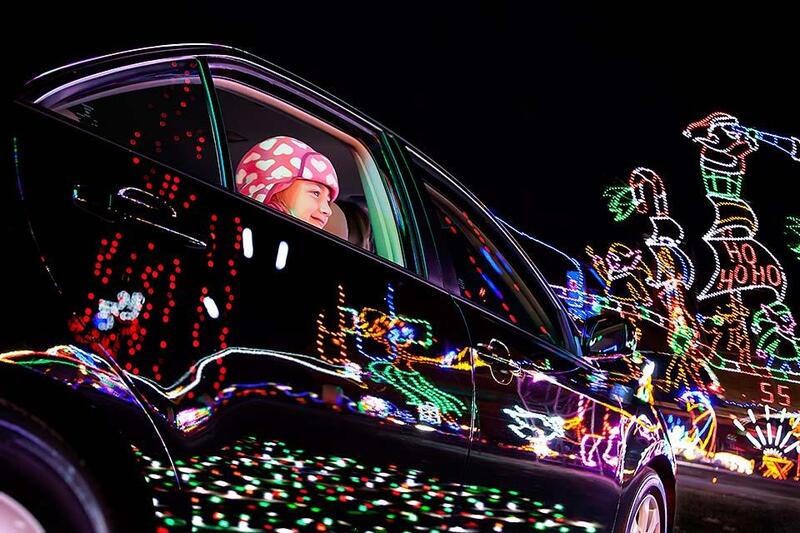 The festival runs now through January 3, 2015. The National Guard Wants YOU - To Zipline! Every now and then, we&apos;ll profile different super-extreme zipline attractions around the world – almost always portraying ziplining in the context of fun and amusement. But sometimes, ziplines can be used for more practical purposes. For example, did you know that the Wisconsin National Guard just purchased two mobile zipline units as part of its ongoing recruiting efforts? We may just have a great recipe for beautiful fall foliage in the Great Smoky Mountains this year. The magic combination includes sunny days, occasional rainfall and longer, cooler nights, and that&apos;s exactly what we&apos;ve been enjoying the past few weeks in this neck of the woods. 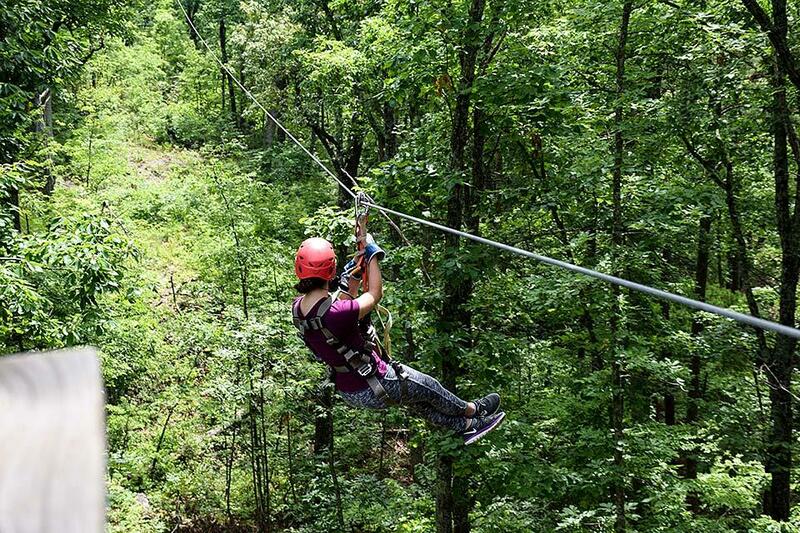 Now that summer is in full swing, our ziplines in Pigeon Forge are going full steam as families from all over the country converge on the Smokies to get their fix of mountains, scenic beauty, wildlife and natural resources. 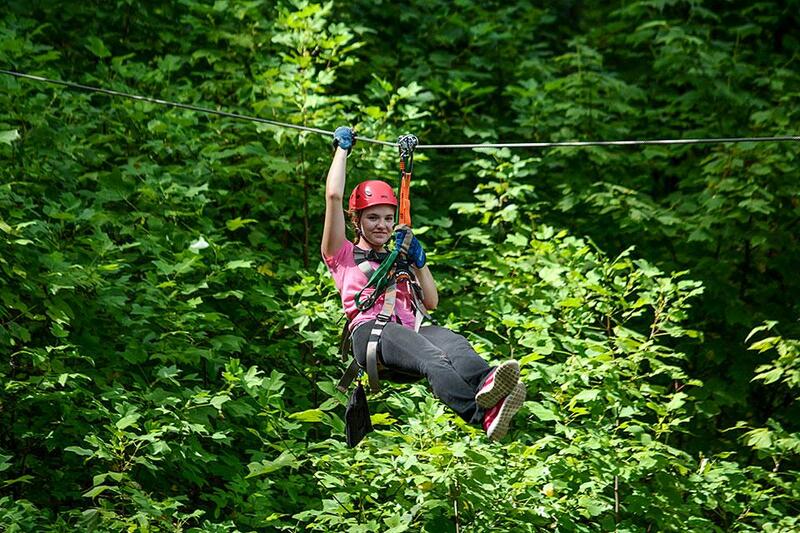 Discounts Abound At Smoky Mountain Ziplines! Our ziplines in the Smoky Mountains already offer the best value in the area thanks to our having the largest course with the most lines around. 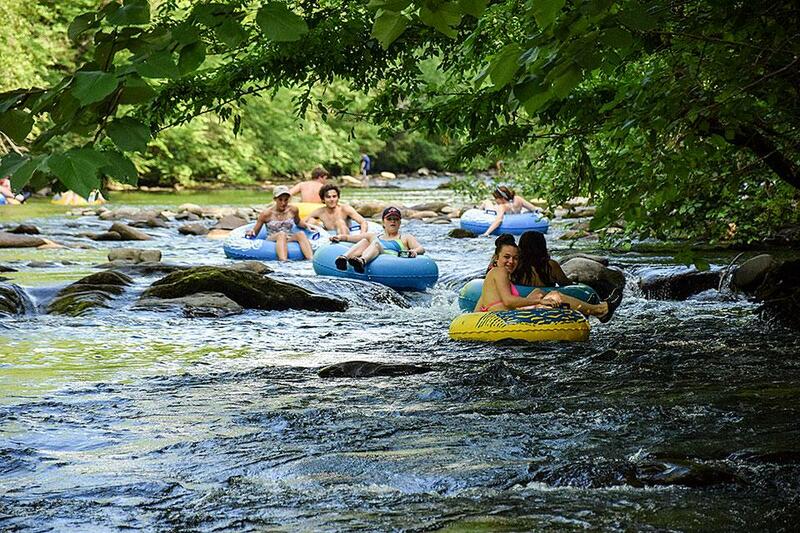 But this summer, we&apos;re offering several additional discounts that will help make your outdoor experience in the Smokies even more cost-effective. By now, most schools around the country are officially out, and we&apos;re more than a week past Memorial Day. It&apos;s official; summer is here. That means that a lot more visitors headed to the Smokies this week are families on vacation. 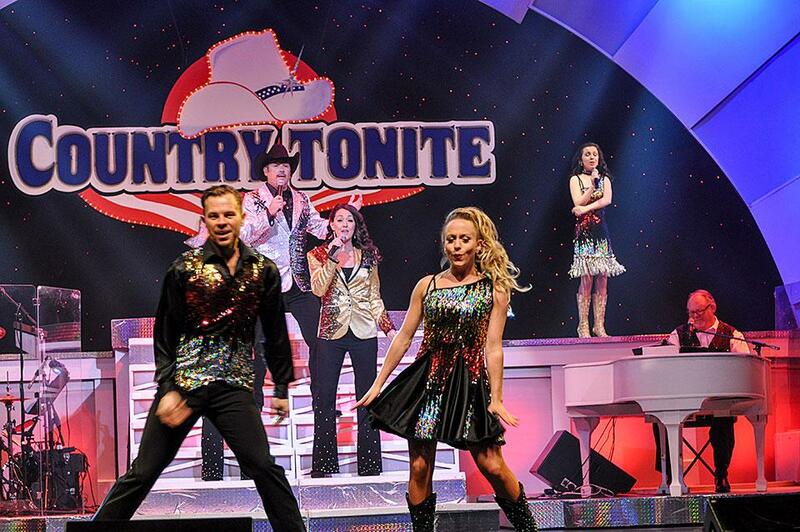 If that&apos;s you, then read on to get an idea of some of the special happenings that are taking place in Gatlinburg, Pigeon Forge and Sevierville this week. Most people probably don&apos;t associate the country of Wales with extreme outdoor sports, but when it comes to ziplines, this British Isles nation is certainly making a name for itself. A company called Zip World has several different zipline runs that give thrill seekers something to talk about. 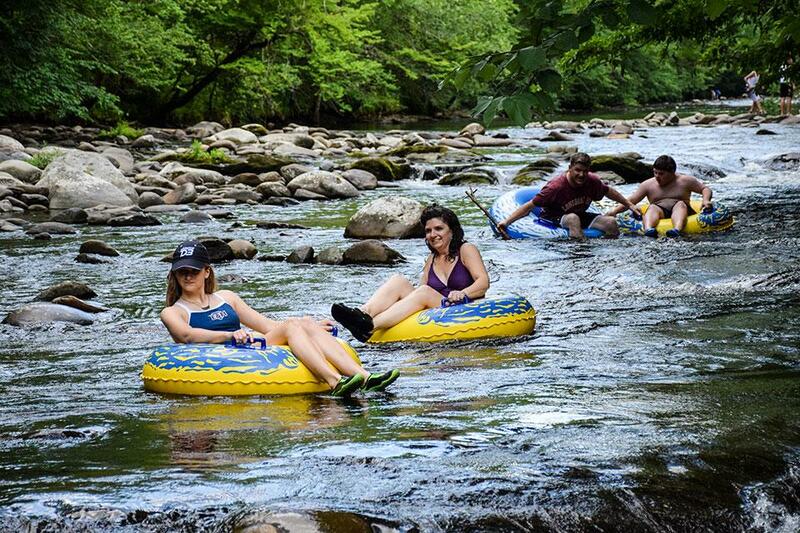 One of the neat things about vacationing in the Great Smoky Mountains is that there are usually more ways to have fun than most people have hours in the day to enjoy them. 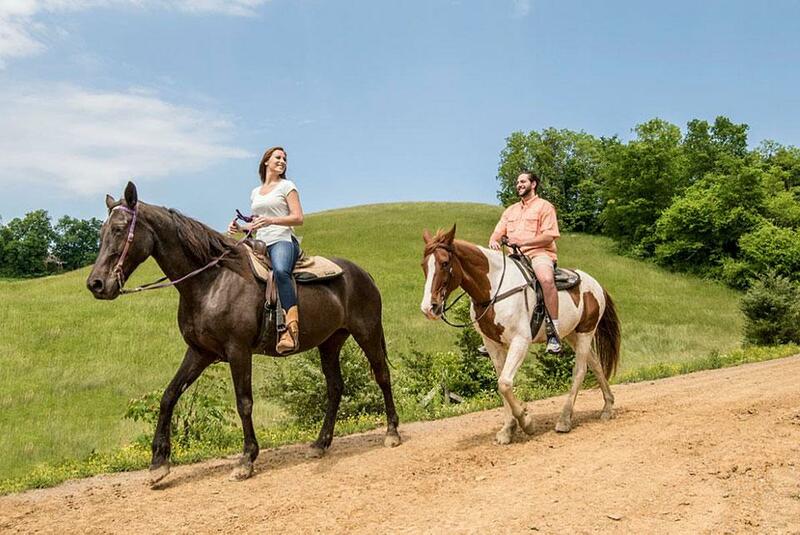 The choices range from outdoor activities that connect visitors with the scenic beauty of the area to indoor attractions and shows that offer a respite from the elements, whether it&apos;s the cold of winter or the heat of summer. We stumbled upon a web article recently entitled The World&apos;s 6 Most Insane Ziplines. This week, we&apos;ll give you a thumbnail description of three of the attractions, which are located all over the world, and we&apos;ll include a link to video footage from the first one. Check back next week for details about the other three extreme ziplines. Did you know that Smoky Mountain Ziplines continues to be rated as the number one activity in Pigeon Forge, according to tripadvisor.com? That&apos;s not exactly news, however. We&apos;ve held that spot for quite a while, but we think it says a lot that our customers continue to rave about us and give us such high ratings on a consistent basis. 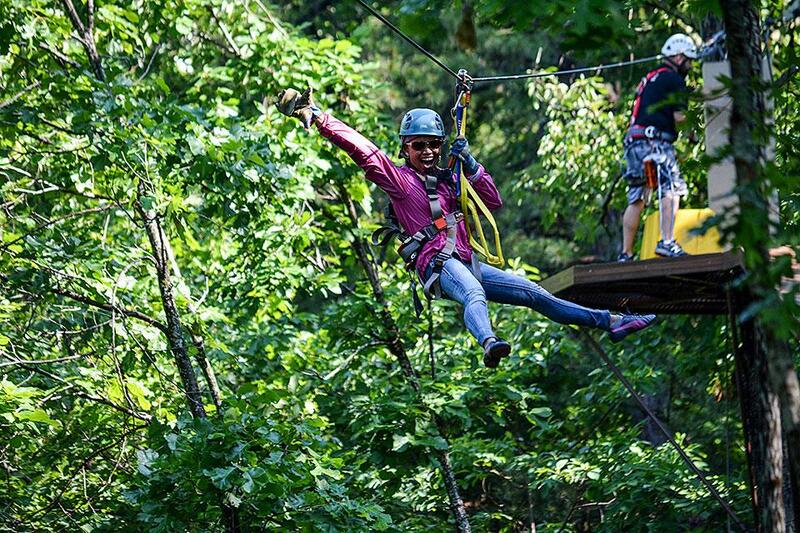 Our Pigeon Forge zip line attraction will be open for the season in just a few weeks. In the meantime, you could already be making plans for your next trip to the area. In addition to ziplining, of course, we strongly recommend that you spend some time in Great Smoky Mountains National Park. So this week, we&apos;ve got some information that will help you learn a lot about the park and the mountains themselves. It&apos;s a good thing we&apos;re on hiatus for a couple of months, because right now is definitely not a week in which riding a zipline would be much fun. With single-digit lows and highs in the teens, it&apos;s the kind of weather that can not only be un-fun, it can also be downright dangerous if you&apos;re not paying attention. Part of what makes ziplining exciting is the fact that you&apos;re pushing yourself to do something that&apos;s probably outside your comfort zone. As human beings, we&apos;re simply not used to hanging in a harness from a cable strung high in the trees and speeding along at 40 miles per hour across a ravine. And while safety is our number one objective, ziplining does give you the feeling of living on the edge. If you&apos;ve been using your age as an excuse not to try riding a zipline, then we&apos;ve heard about a Texas grandmother who will put you to shame. For her 90th birthday this October, DeAlva Mast celebrated by riding a zipline in Costa Rica as part of a Central American and Caribbean cruise. Accompanied by her sister-in-law and four of her daughters, Ms. Mast took a jungle zipline tour at a port of call, during which she experienced a sense of adventure and created fond new memories. According to the calendar, autumn&apos;s going to hang around for a few more weeks. But in the Great Smoky Mountains, folks are already thinking about winter. That&apos;s because Smoky Mountain Winterfest offers four full months of fun ways to celebrate Christmas and enjoy the entire holiday season. The fall foliage colors are really peaking now in the low to middle elevations. Most of the leaves above 3,500 feet have fallen, and they&apos;re starting to drop here in the lower levels too, so this may be one of the last good weeks for viewing and photographing. 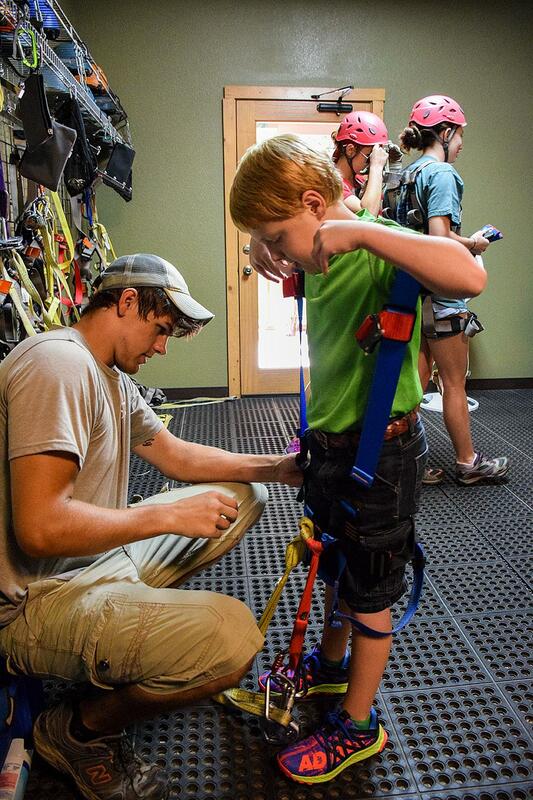 Safety is always one of our top concerns at Smoky Mountain Ziplines. We provide safety gear for all our customers, including harnesses, gloves and helmets. We also send two experienced guides out with every group. They make sure all participants know the safety rules, and they also lead and follow every group of guests as they make their way across each line of our canopy tour. Ziplines Good For The Economy? There&apos;s no doubt that the combination of ziplines, Smoky Mountains and a warm summer day adds up to a great way to spend a day. Ziplining has all sorts of benefits for the vacationer, including fun, adventure, beautiful scenery, fresh air and quality time with friends and/or family. Just as we have videos on our website that introduce you to the fun and excitement of our ziplines in the Smoky Mountains, we thought that this week, we&apos;d post a video that will give you a thumbnail sketch of what it&apos;s like to spend some time in the Great Smoky Mountains themselves. If you&apos;re looking for the ideal conditions for enjoying our zip lines in the Smoky Mountains, you couldn&apos;t pick a better time of the year than right now. 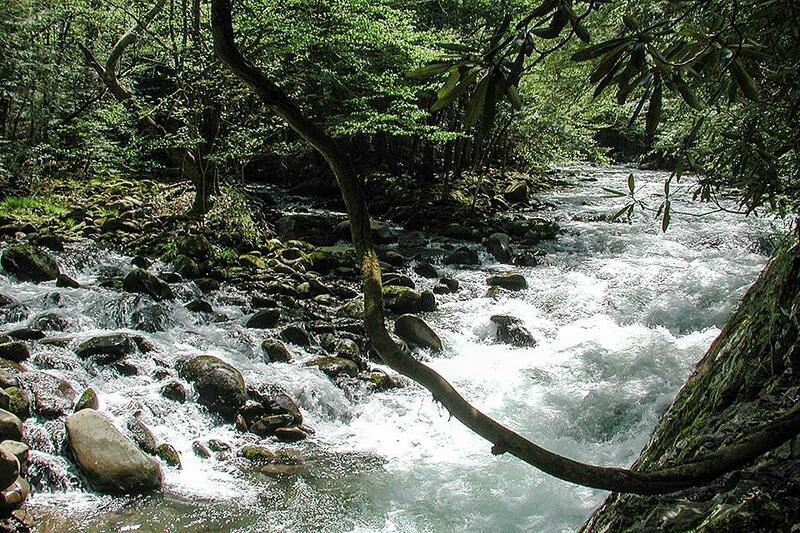 But if you&apos;re visiting the Smokies, we hope you also take some time to make the most of the national park itself. It&apos;s one of the most beautiful areas of the country, and it&apos;s free. You can&apos;t beat that. This is the time of year to get outside and make the most out of your time in the Great Smoky Mountains. We recommend taking a two-pronged approach to your outdoor experience. It&apos;s chilly now, but we&apos;ll bet you can almost feel the sun on your shoulders as you dream about traveling to the Smokies later in the year. That&apos;s a great idea, but when making your plans, you might want to avoid some of the common pitfalls. 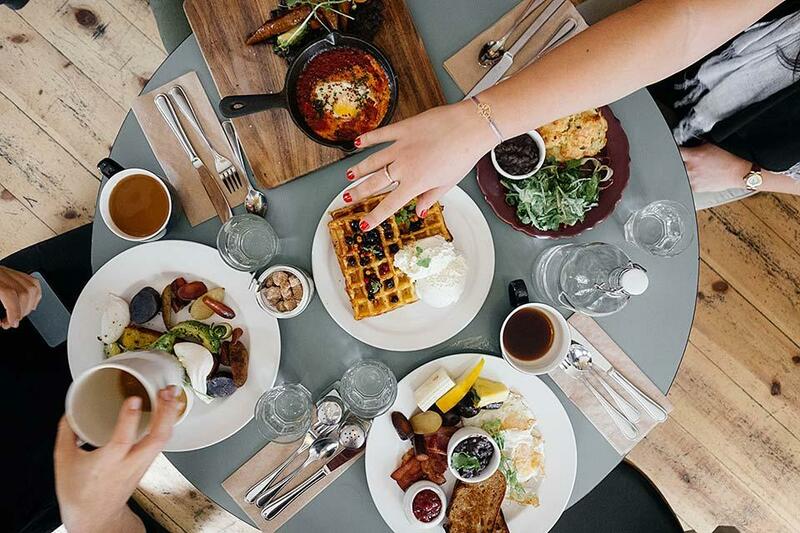 Separate yourself from the rookie travelers by taking note of these mistakes. As we all know, Santa breaks out his giant sleigh and team of ready reindeer every Christmas Eve and loads the sleigh with lots of toys for all the good girls and boys. Then he spends the entire night flying through the air as he makes his speedy annual trip around the world. Looking for a way to shake up the Thanksgiving holiday? This year, consider spending Turkey Day in the Smokies. 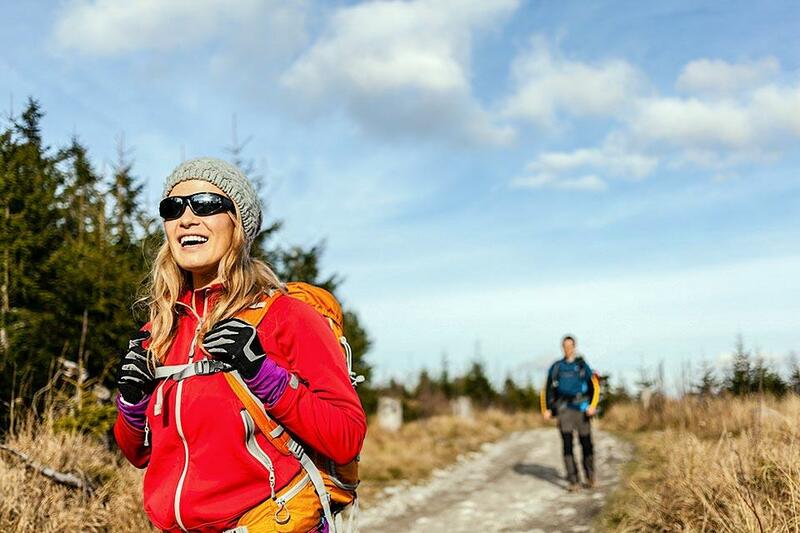 The forecast for this week is terrific—sunny, with highs in the low sixties—which means great weather for either Black Friday shopping or perhaps walking off some of that pecan pie with a hike in the mountains. 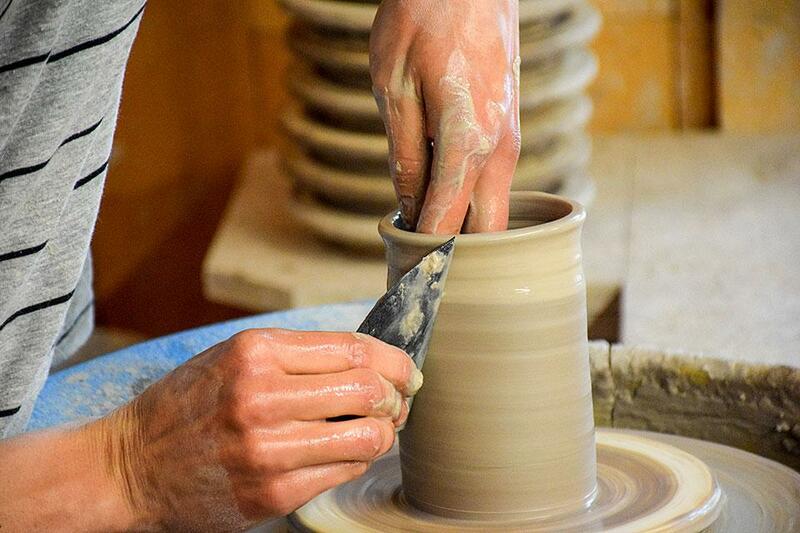 Since 1937, the Great Smoky Arts & Crafts Community has been known for its authentic mountain craftsmen and artisans, all showcased together in a collection of studios and shops along a eight-mile motor loop in Gatlinburg. It is the largest group of independent artisans in North America, proudly preserving the craft heritage of the Great Smoky Mountains on a year-round basis. Let&apos;s practice a little visualization this week. 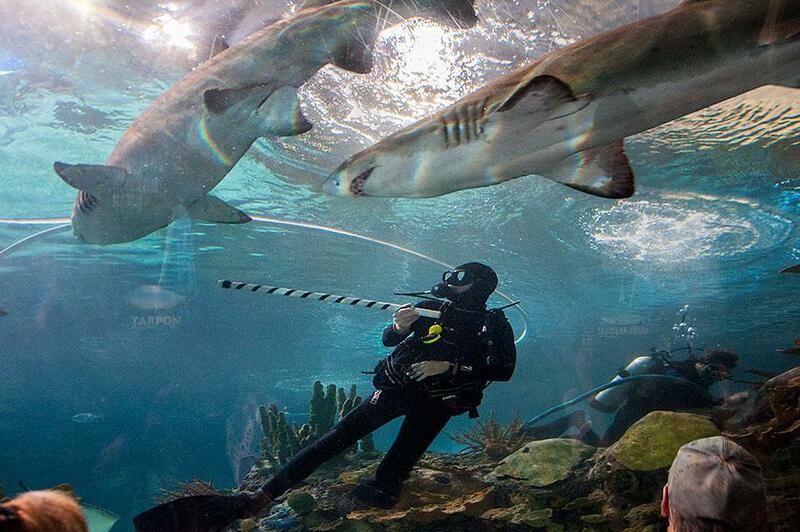 Close your eyes and try to imagine your ideal vacation day. 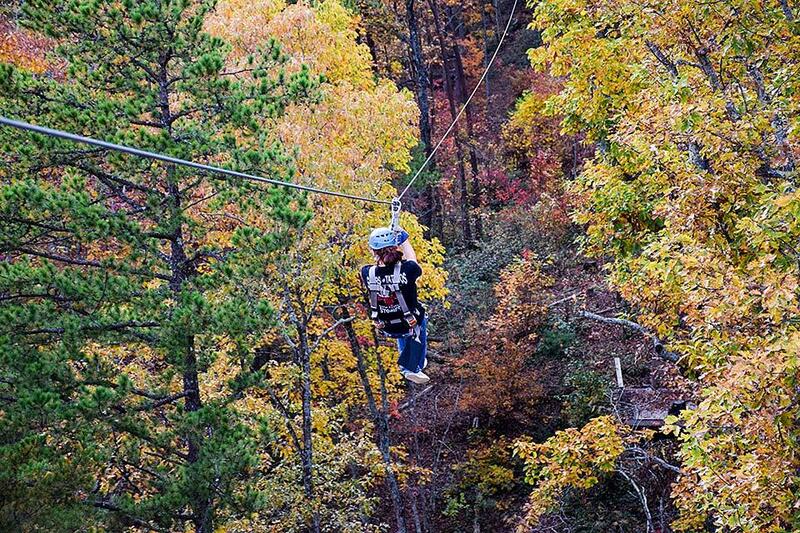 At Smoky Mountain Ziplines, we think we could be an important part of that vision. Just imagine—ziplines, Smoky Mountains and everything that Pigeon Forge, Gatlinburg and Sevierville have to offer at your disposal. From time to time, it&apos;s important that we stress to our customers (old and new) that safety is always our primary concern when you come to visit our zip lines in the Smokies. It&apos;s a priority from the moment you step on our property until we see you off safely at the end of your adventure. There&apos;s nothing fancy about zipline technology. In fact, it&apos;s pretty simple stuff that Sir Isaac Newton figured out hundreds of years ago. But there&apos;s something about strapping on a harness and letting gravity pull you from one high point to another across a great distance that conjures up feelings of excitement and adventure. Let&apos;s have a little fun this week and test your zipline knowledge. So put on your thinking caps. 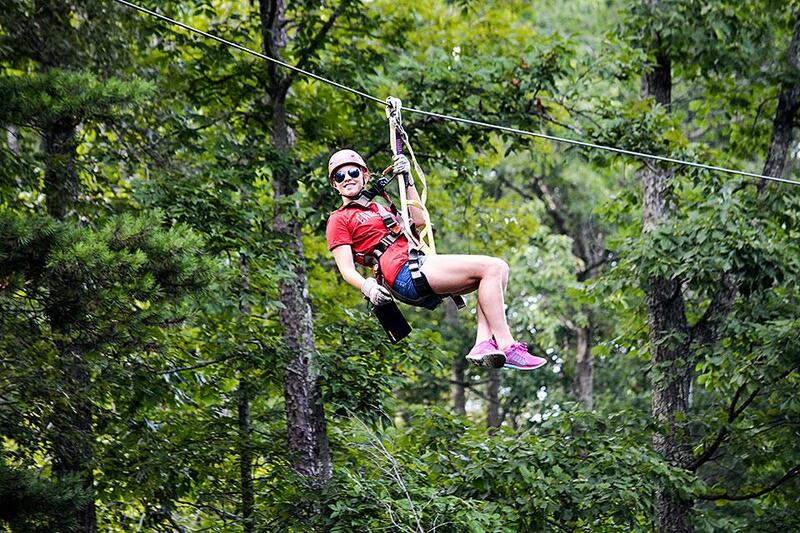 And also remember that if you&apos;re looking for fun in Pigeon Forge, Gatlinburg or Sevierville, zipline action at its best can be found at Smoky Mountain Ziplines! 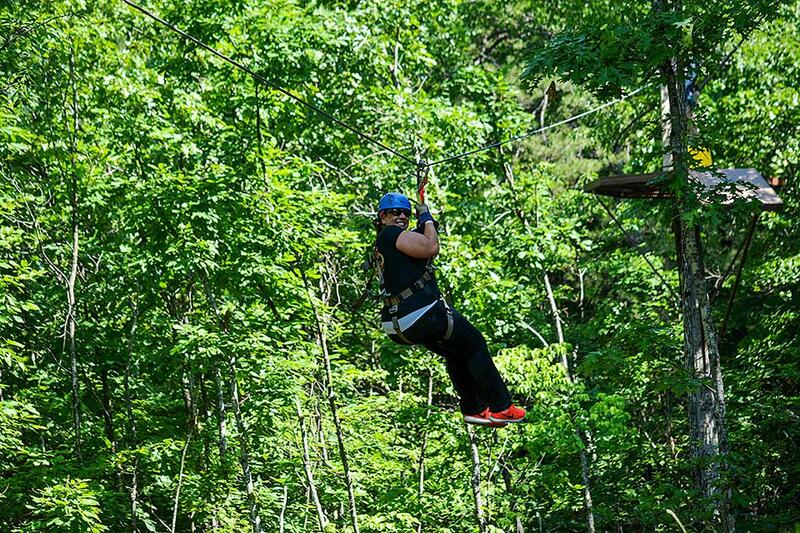 In case you haven&apos;t noticed, zipline attractions have become very popular in Pigeon Forge, Sevierville and Gatlinburg, Tennessee. It&apos;s an easily accessible activity that most people can participate in, and the payoff is high thrills, speed and excitement. And that&apos;s reason enough for more and more zipline businesses to keep springing up in this area. Just in case you&apos;re worried that we&apos;re going to just turn you loose on a zipline course with no assistance whatsoever, you can put those fears to rest. 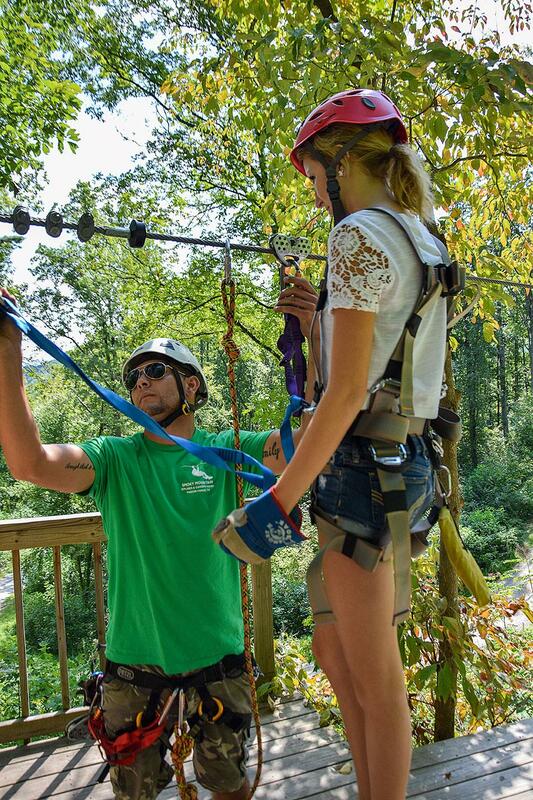 At Smoky Mountain Ziplines, we send out experienced guides with every group. Well, there&apos;s sort of a dress code. 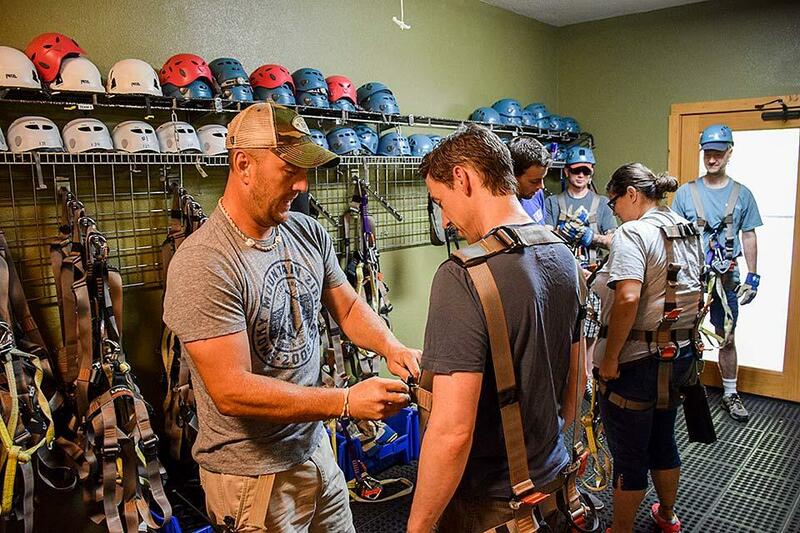 Here are a few things you&apos;ll need to know about what to wear before you go ziplining with us. 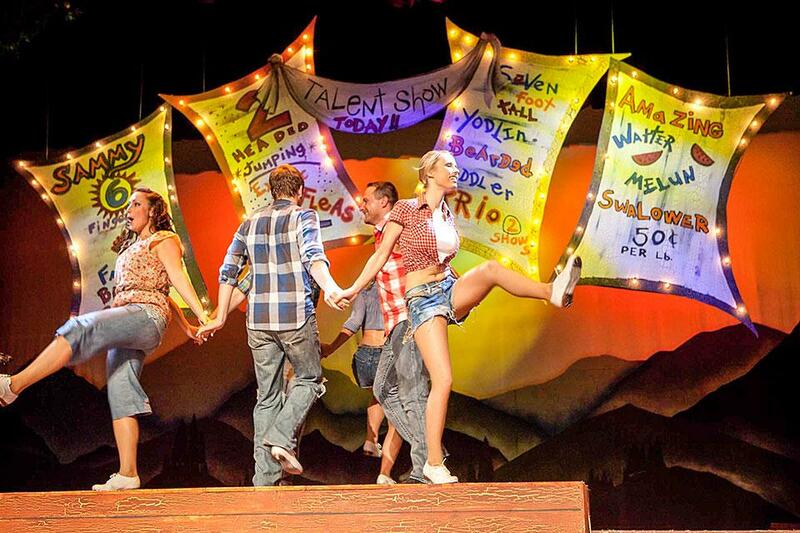 This time of year, seeing the sights in Pigeon Forge isn&apos;t an activity that&apos;s limited to daylight hours only. Now that Winterfest is in full swing, the city&apos;s millions of Winterfest lights provide a big bowlful of eye candy once the sun goes down. The change is usually subtle at first, but if you take a close gander, you&apos;ll notice that the leaves are starting to turn colors in the Great Smoky Mountains. In the higher elevations, the transformation has already begun, but even in the lower regions, you can already see blips of yellow, red and orange starting to appear in the summery greens. There aren&apos;t many other attractions you can visit in the Great Smoky Mountains that let you spend as much time and have as much fun as Smoky Mountain Ziplines in Pigeon Forge. At mini golf courses and go-cart tracks, you&apos;re done before you know it, or perhaps you can squeeze a couple of hours out of a music theater show or a museum. 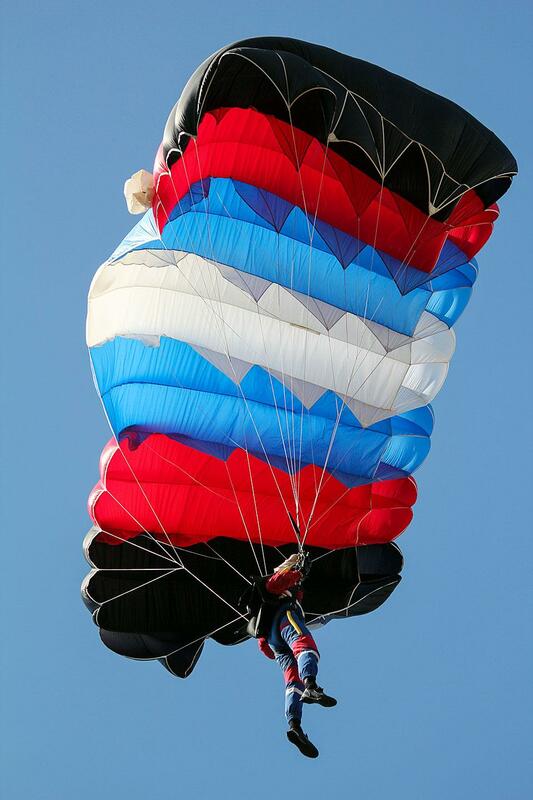 It&apos;s A Bird, It&apos;s a Plane… It&apos;s SuperZip! Not that ziplining isn&apos;t extreme enough of an adventure, but if you want to take this recreation to it&apos;s extreme extreme, then set your sights on our SuperZip course. Let&apos;s say you have a child with an upcoming birthday (or an adult, for that matter). 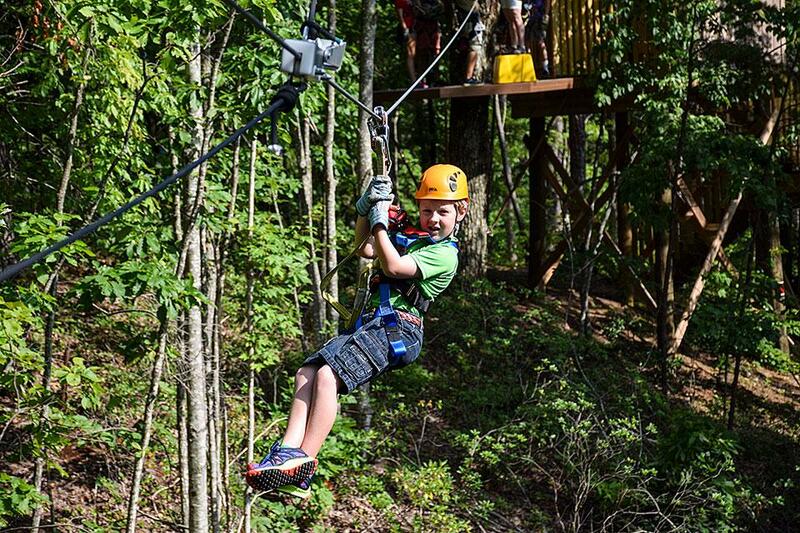 You could trot out that old celebration standby—a pizza party at a certain rodent-themed restaurant—or you could unleash a birthday bonanza like no other by hosting a Smoky Mountain zipline adventure for your child and some of his or her soon-to-be-closest buds. 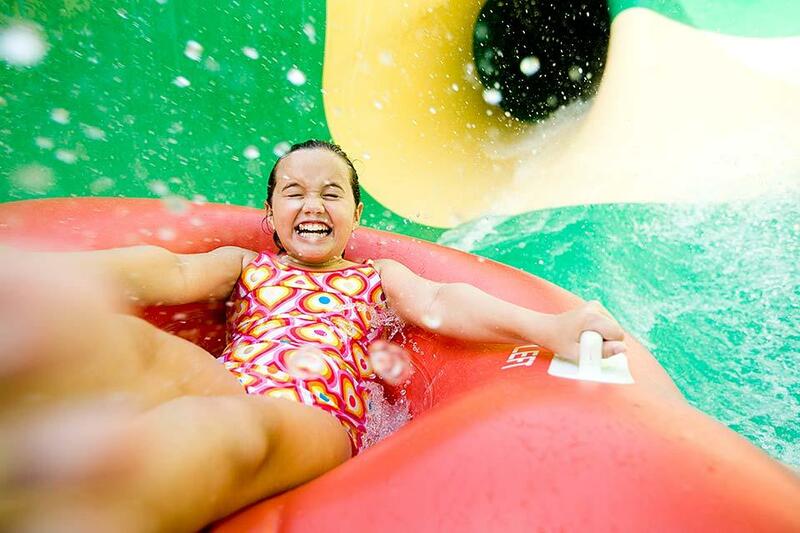 Summer means warmer temperatures, which means being able to have fun outdoors. But it also means having to be careful not to get overheated when the mercury is on the high end of the stick. The good thing about ziplining is that it lets you get outside and enjoy being outdoors in the summer, but at the same time, the nature of the activity helps you keep your cool.